In a skilled nursing facility, residents receive a full complement of healthcare services, including short or long term rehabilitation, to help them recover better and faster from illness, injury or surgery. The goal is to return as much independence to these individuals as possible and get them back to the lifestyle they are accustomed to. Skilled nursing care is usually provided after a stay in the hospital. Residents are directly transferred to the community from the hospital because while they may no longer need the level of care provided by the hospital, they still may need some assistance and therapy before returning home. Some of the most common reasons seniors require a stay in a skilled nursing facility include recovery from a fall, stroke or heart attack, hip replacement or other joint replacement surgery, or the need for care for worsening conditions from progressive diseases like Alzheimer’s or Parkinson’s. Physical Therapy: Physical therapists help restore residents’ functionality, reduce their pain and increase their mobility. 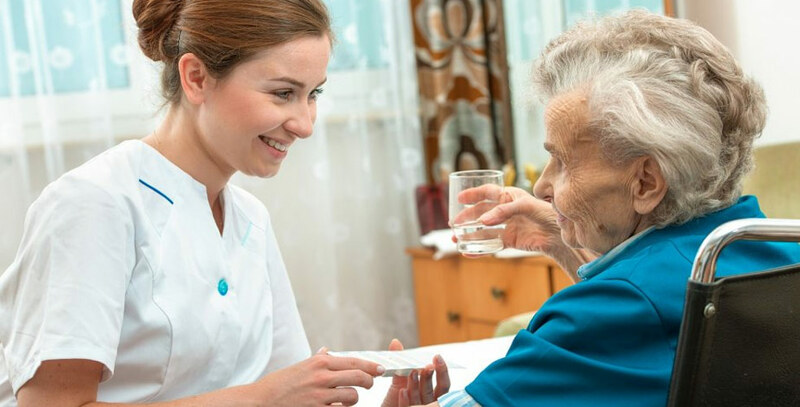 Occupational Therapy: Occupational therapists ensure residents are able to perform daily living activities, like bathing, grooming, dressing, and eating. Speech and Language Therapy: Speech and language therapists use vocal exercises to ensure residents are able to effectively communicate. Assistance with Daily Living Activities: Residents receive help with personal tasks above and beyond medical care. Wound Care: Our professional nursing staff will provide complete wound care. Medication Management: The professional team ensures medication is managed properly and administered on time daily. If you’re in need of a skilled nursing facility for a loved one, it’s important to do some initial research and ask about the level of care provided. For instance, some facilities may only offer short term rehabilitation, which means care will be provided anywhere from a few days up to a month. Long term rehabilitation, on the other hand, can last a month or longer. If your loved one requires a longer stay, a facility that provides only short term rehab may not be the best fit. If possible, visit the skilled nursing facility in person. This offers the opportunity to speak with the staff and residents, as well as get a feel for the environment. Take note of the residents’ moods- do they seem happy and content? Are the rooms well-lit, spacious, and equipped with necessities like non-skid floors and grab bars? It’s also important to find out if social activities are provided to keep residents actively engaged with others and life. For more information about skilled nursing care near Denver contact Mountain Vista at 303-421-4161 to schedule your tour.